The second massive progressive jackpot win paid out by Microgaming in the last few months was made on the 1st of October when a mobile slot player banked nearly £1, 5 million. It is incredible to think that modern online casinos can give a random player the chance to win such a life-changing sum of cash simply by playing a slot game on your smartphone. The player won the amount by playing Mega Moolah, a very popular slot. The Microgaming Progressive network has built up quite a reputation for itself with the number of large payouts it has awarded. What attracts many players to these slots is the fact that Microgaming pays out the jackpots in lump sums by default, rather than giving the player a trickling of cash over many years. This win follows an even bigger win in April. One player won more than €7 million on the Mega Moolah slot game, marking only the 5th largest jackpot awarded by the Microgaming Progressive Network. The largest win recorded by the network was in 2015 when a player won over £13 million. This win still holds the Guinness World Record for Largest Online Slot payout. This network has been a massive boon for Microgaming. Not only has the network been a great reward for their loyal members, it has also been an absolutely amazing marketing tool. The regular coverage of these massive jackpots has shown players that Microgaming is a trustworthy and reliable company that puts their money where their mouth is, quite literally, when it comes to progressive jackpots and their payouts. This win marks the awarding of the Guinness World Record almost 2 years ago exactly, making this win even more poignant for Microgaming. 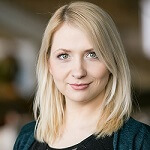 David Reynolds, the company’s Games Publisher went on to congratulate the lucky player and reiterated the value that Microgaming’s Progressive Network has brought to so many players worldwide. 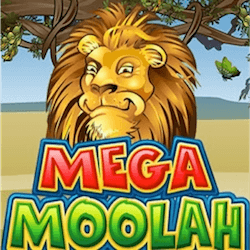 Mega Moolah is a cartoony looking slot game which has a 5 reel, 25 payline setup. Other than its 4 different progressive jackpots, it also features a Free Spins bonus round where you get up to 15 spins and a Lion substitute wild symbol. This definitely does not mark the last time we will hear about a lucky player becoming an instant Millionaire. Mega Moolah has been making dreams a reality since it was first released almost 4 years ago. You can play Mega Moolah right now at all Microgaming casinos.